Finally, there’s some diversity in the fashion industry! Over the past few decades, there has been a lack of diversity on the runway. 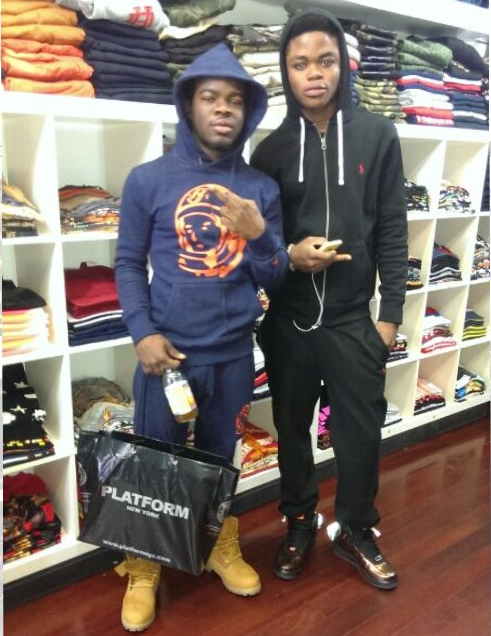 We all know that racism still takes place in the fashion world. I am so sick and tired of top designers overlooking models of color. Your race and ethnicity shouldn’t matter. If you’ve got the right talent, you should be given the opportunity to do the job. Even though people of color still have a long way to go in the fashion industry, I must admit that we’ve come a long way. 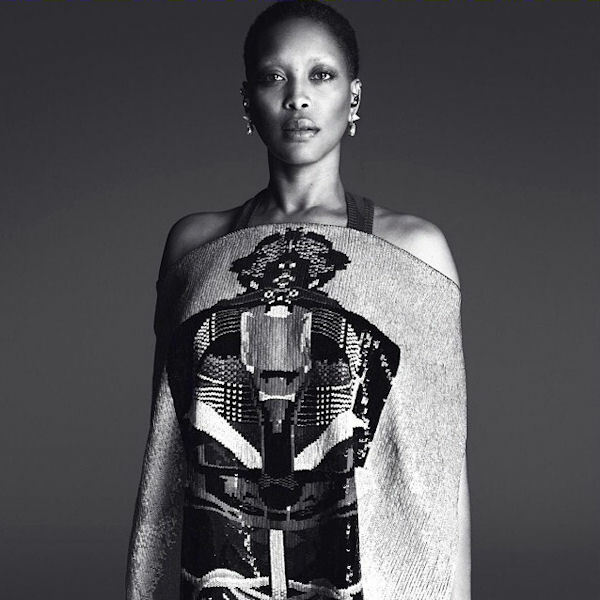 Iconic fashion designer and creative director Riccardo Tisci is breaking barriers by tapping neo-soul singer Erykah Badu for the face of Givenchy’s Spring 2014 Campaign. This campaign is already making history and I hope other fashion houses will follow Tisci’s lead. 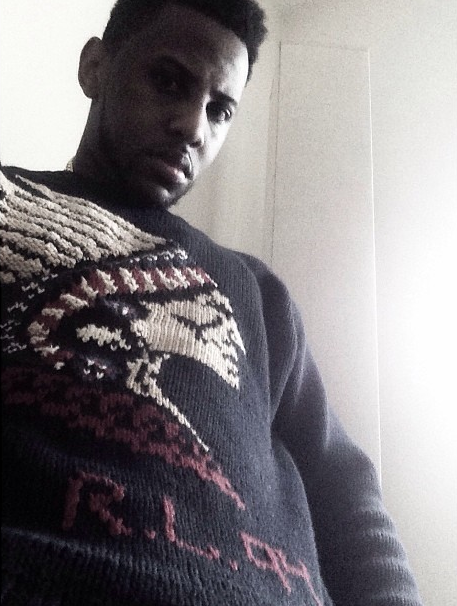 Someway, somehow rapper Fabolous got his hands on a vintage Ralph Lauren Polo Indian Head 94 Knit Sweater which is from the brand’s early 90’s collection. 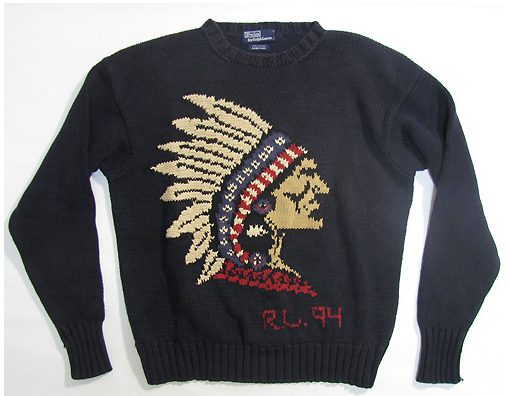 If you’re able to get one of these sweaters, most likely, you will have to pay over $400 on eBay. 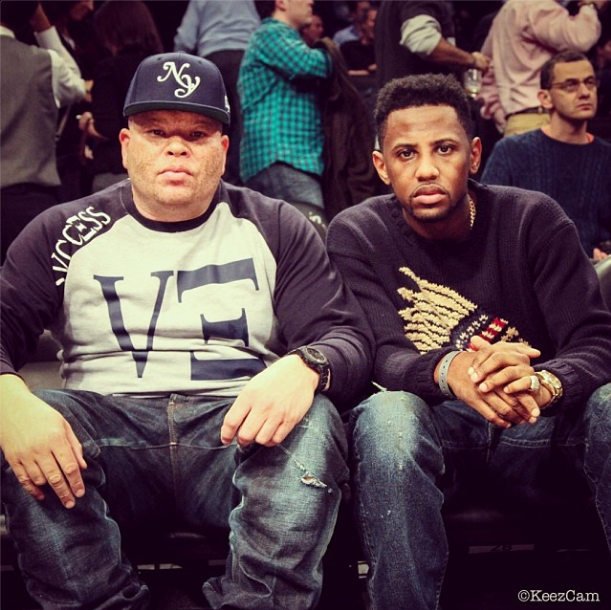 The Brooklyn Don is scheduled to release his forthcoming project, SOUL Tape 3 on Christmas (December 25). Tomorrow, Thursday (December 12), Fab will release a visual for the project’s intro. 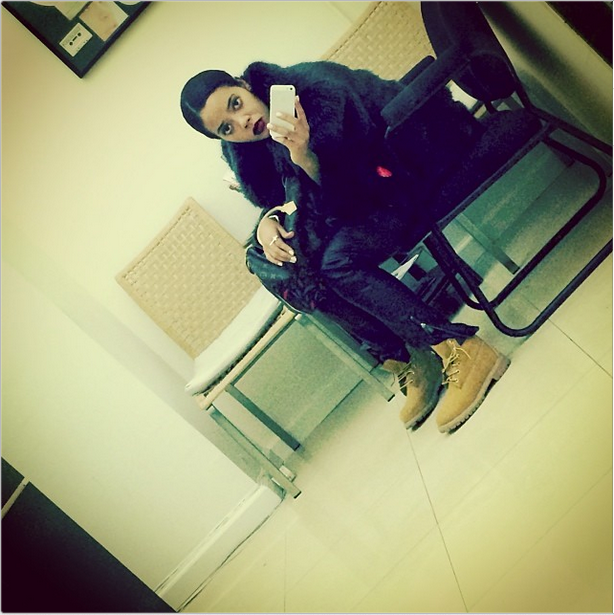 Earlier in the week, the NY/NJ area was hit with a major snowstorm, therefore Angela Simmons put away her stilettos and styled in construction boots. The socialite and entrepreneur kept warm in a faux jacket from her Foofi fur line with waxed leather pants and $180 Timberland boots which can be purchase at Nordstrom. What I like best about Angela’s style is her great fashion taste. She constantly switches her style. Ang is one of the few celebs who actually looks good in high heels (the girly look) or boots (the tomboy look). Fashion killa Bernard, (who I featured on the blog this past Monday here) returned to YDBR with another stylish ensemble. Today, he’s feature sporting a $179 now $125 BBC Helmet Pullover with the matching $128 now $83 Classic Helmet Sweatpants. 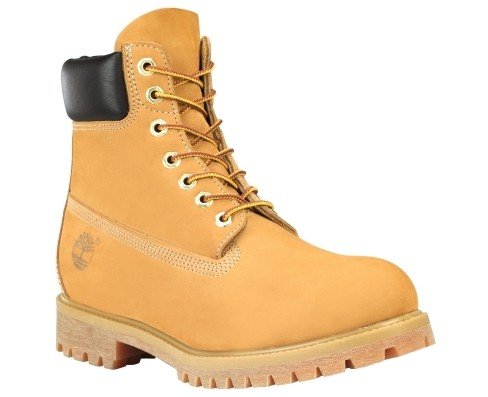 He completed his look by wearing $180 Timberland boots which can be purchase at Nordstrom. Back in September, I posted Meek Mill wearing the exact same BBC ensemble during the 2013 BET Hip Hop Awards weekend in Atlanta. 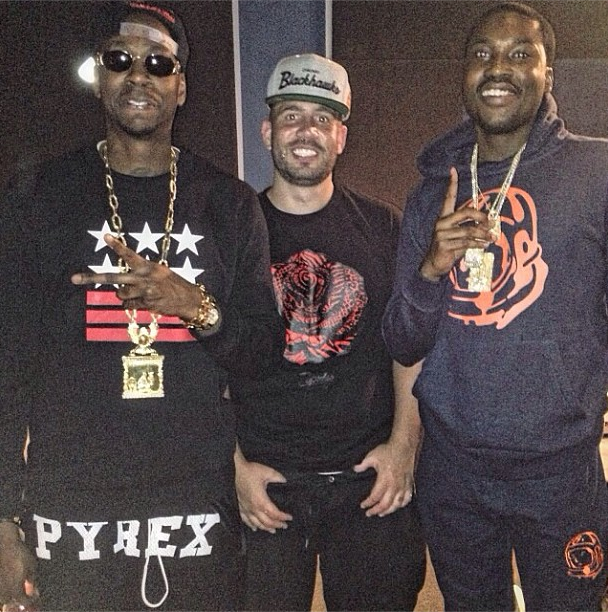 Meek Mill was photo’d with 2 Chainz and DJ Drama. 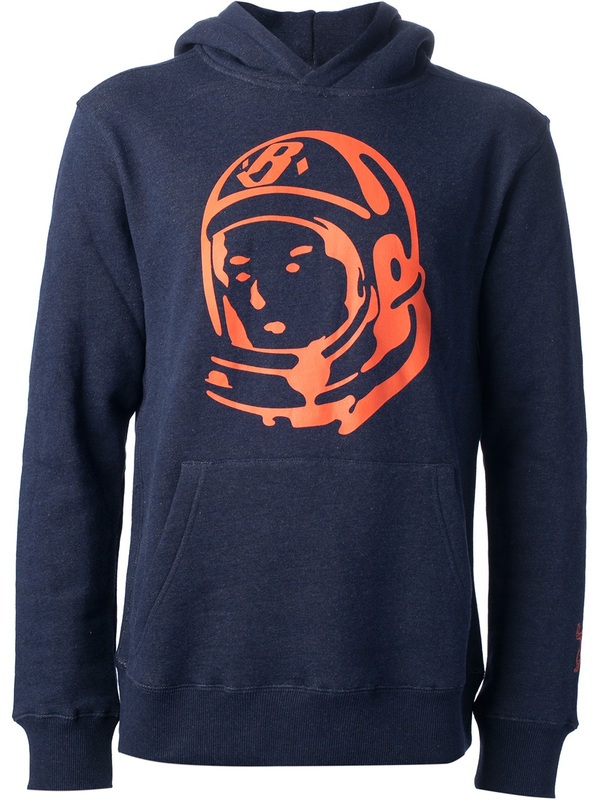 The navy cotton hoodie from BBC feature a hood, long sleeves, open front pocket and a helmet printed design on the front. You can purchase it at Farfetch. 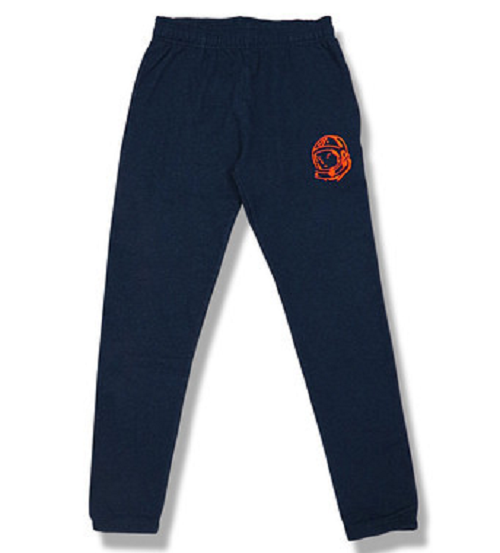 The classic sweatpants feature a helmet design on the leg upper leg. Last weekend, media personality and Power 105.1’s host Angela Yee was in Los Angeles for the Grammy Awards nomination concert. After the show, Yee hosted ‘Friday Night Rox‘ at the Roxbury in Hollywood. For the appearance, she styled a cute sheer black dress with $1,595 Charlotte Olympia Zena Metallic-Cage Suede Ankle Boots. 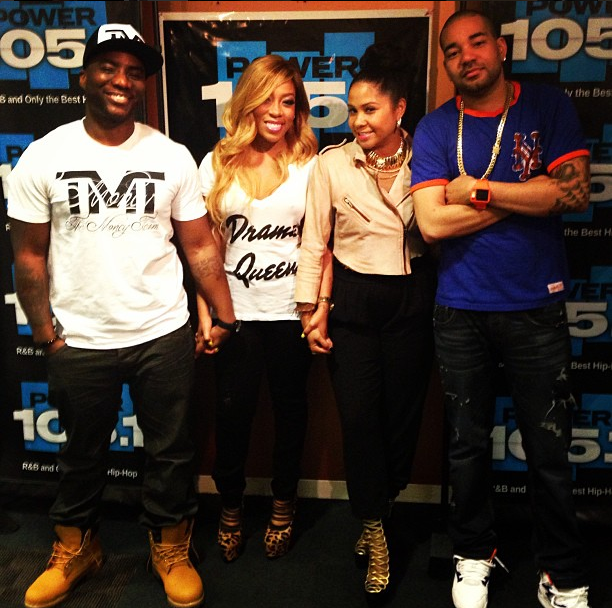 Back in May, Yee also wore these boots while interviewing K. Michelle. She paired her boots with a black jumpsuit and light-colored leather jacket. Unlike the waist-cinching straps of a corset, the metallic leather details of these Charlotte Olympia ankle boots are meant to be seen. The boots feature a suede upper, lopped metallic lambskin straps create corset-like cage front and back zip with the brand’s signature web pull. You can purchase them at Forward by Elyse Walker. A couple of months ago, I ran into Yee at my alma mater (Rutgers University, New Brunswick). She revealed to me that she’s returning to television in January 2014. The show that Yee is going to be featured on is not on VH1. She didn’t reveal the network nor did she give any other details about the show. Stay tuned to YDBR for more info. 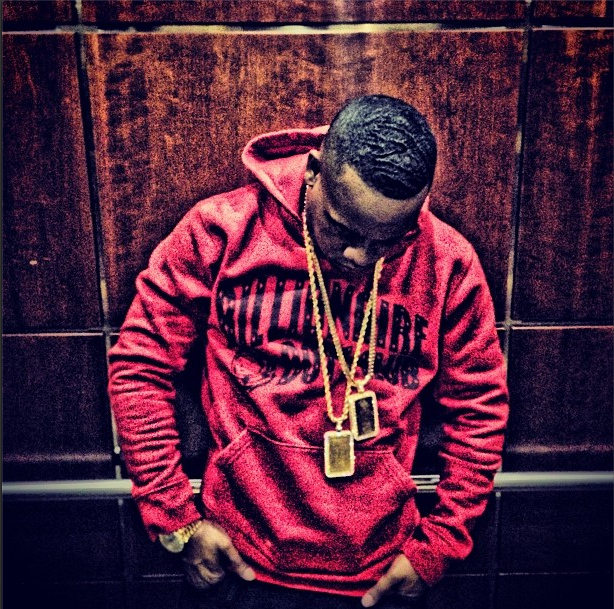 Epic Records recording artist Yo Gotti was recently spotted rocking a $168 Billionaire Boys Club The Nordic Arch Pullover which is from BBC‘s Holiday 2013 collection. 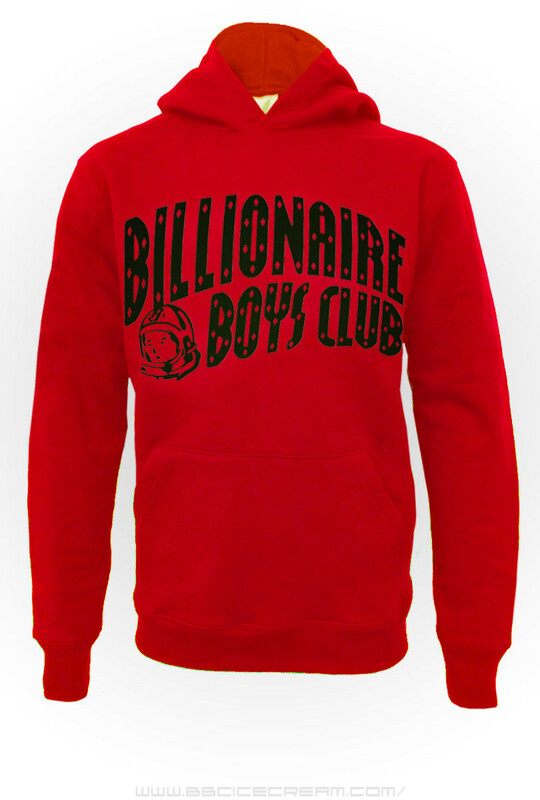 The Billionaire Boys Club Nordic Arch Pullover features the BBC logo lettering on the chest, a drawstring hood and a kangaroo pouch pocket. You can purchase this pullover at Farfetch or Karma Loop. The Memphis-bred rapper released his latest offering, I Am on November 19th. The album debuted at number seven on the Billboard 200 chart, with first-week sales of 48,000 copies in the states, becoming Gotti’s highest charting and best-selling album to date.